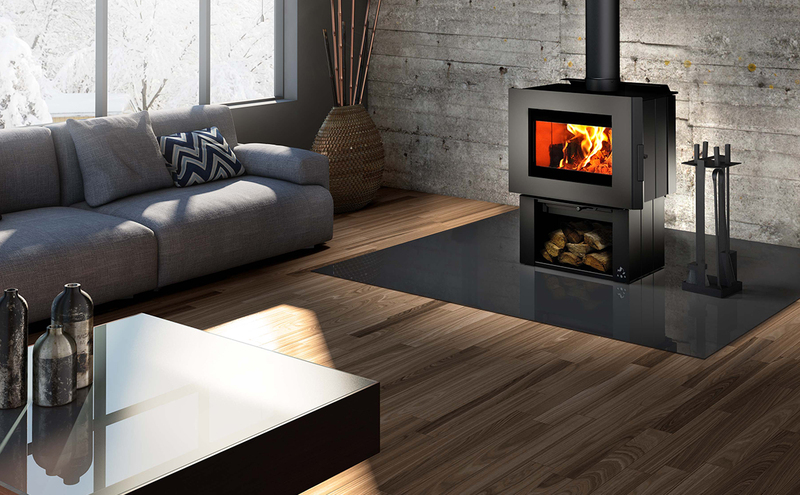 Once again, Osburn innovates to offer you the Soho, a small wood stove with an ultra modern design. This stove, which features an exceptional view of the fire, comes with an easy-to-operate door latch system that compliments the clean lines of the appliance. The Soho can be personalized according to your tastes and decor, thanks to its modular side panels available in different finishes and it offers two convenient and safe pedestal choices to store your logs. This stove can be equipped with an optional blower, in addition to being ready for a fresh air connection kit without the need for any special adaptor. The Soho is an ecological heating appliance that will please those seeking efficiency and contemporary design!